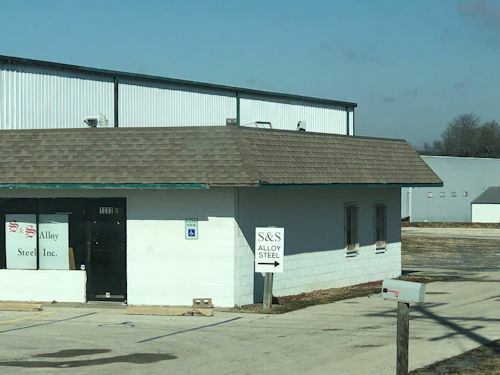 S & S Alloy Steel, Inc. is a locally owned and operated "Metal Service Center" in Tonganoxie, KS. We have been in business since 1995. Our sales force has over 50+ years in the steel business. We strive to give our customers "Superior Service!". 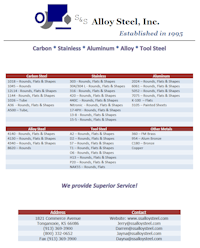 S & S Alloy Steel, Inc. 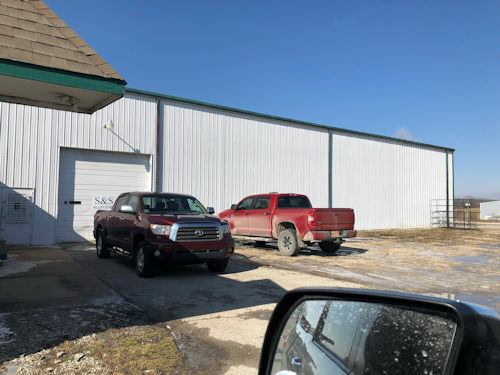 It is official...we have a TEMPORARY warehouse location, just down the road from our burned building. 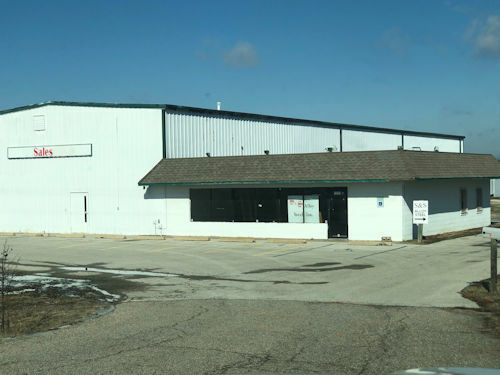 Our new/temporary PHYSICAL address is: 1203 East Highway 24-40, Tonganoxie, KS 66086. Phone numbers remained the same as well as the mailing address.